Sherman Jewelers is one of New Jersey’s leading retailers of fine jewelry and watches. Sherman Jewelers is a family run business. Maria Sherman continues the family legacy striving to give customers service, quality and selection. Proprietor of the Flemington Marketplace, Maria Sherman along with a loyal staff, takes pride in educating every one they greet and ensuring customers about each purchase decision so that their clients can appreciate the value and beauty of their selection. Sherman Jewelers stand behind the quality of our gems, workmanship, and always …… to offer the best price. Our customers have come to recognize and appreciate value, quality and service. Our flagship store located at the Flemington Marketplace provides our customers with luxurious showcases displaying the collections of the fashion trends as well as the classics. 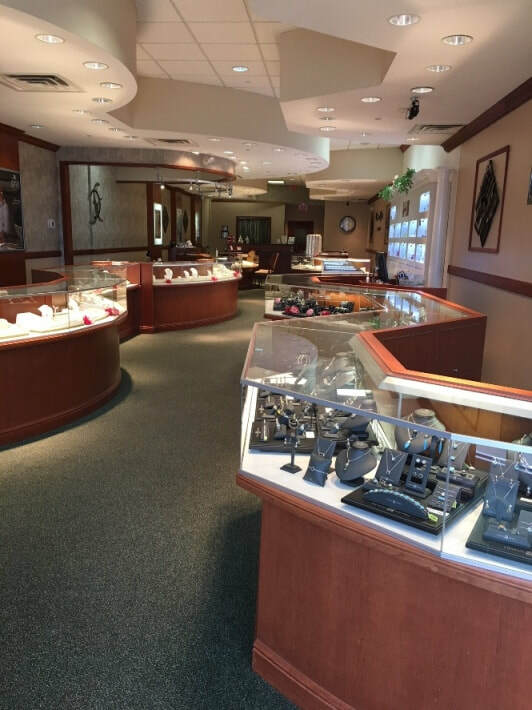 At Sherman Jewelers, our love and passion for fine jewelry and watches, along with a commitment to everyone we greet, provides the opportunity to continue to service others. While service, quality and selection stands at the cornerstone of our extensive jewelry selection.